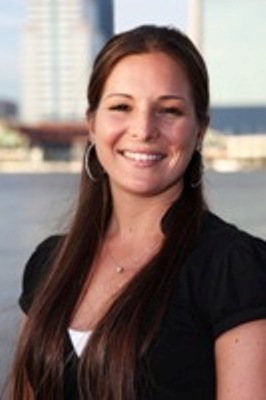 Shannon McKinnon has lived in beautiful Northeast Florida for 19 years and is very knowledgeable about the communities and neighborhoods of the Jacksonville area. From historic Avondale, to the quiet suburbs surrounding NAS Jax and Cecil Field, and all the way to the sandy beaches of Atlantic, Neptune, Jacksonville and Ponte Vedra Beach she will be able to provide a number of market statistics as well as pertinent information that will help you determine the best location suitable for your family and their needs. She has her bachelor’s degree in Criminology and minored in Psychology. She has also earned her designations as GRI (Graduate Realtor Institute) and CREN (Certified Real Estate Negotiator). In her free time, Shannon enjoys volunteering for Wolfson Children’s Hospital, Guardian Ad Litem, Habitat for Humanity and many other organizations throughout Jacksonville. Shannon is an award winning real estate professional. She is represented and acknowledged by her strength, stability, integrity and trust. Shannon and Berkshire Hathaway Home Services, Florida Network Realty offers you local as well as global experience and expertise for all of your real estate needs. Shannon’s dedication to her customers is apparent. She focuses on providing constant communication that is the key to a successful real estate transaction. If you are looking for an agent that can take you from contract to close with as little stress as possible, you have come to the right place! I Appreciate your Business! My commitment is to you and your real estate needs and I look forward to working with you soon!